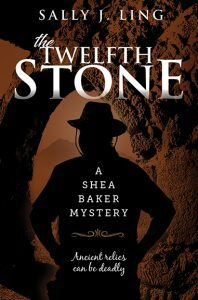 Shea Baker, freelance writer, is flung headlong into a mystery of biblical proportions when he hunts for the twelfth stone, an ancient artifact he believes is key in proving the biblical account of the Exodus and revealing who murdered his friend Mort Saul. Meyer Belinsky, a well-known professor of Jewish history, adamantly refutes that the Exodus ever took place and stakes his reputation on it by citing the lack of tangible or written historic evidence. Renowned archeologist Misha Reuben believes otherwise. He is certain that the twelve stones assembled into a memorial commemorating the Israelites crossing of the Jordan River into the Promised Land are vital to uncovering the truth. He has located eleven of the stones, but one is still missing. Join Shea Baker as he ventures into the arid sands of the Arabian Desert in his harrowing quest for the twelfth stone. This is the third in a series of Shea Baker mysteries. I wanted to further entice readers to search biblical history while enjoying a contemporary mystery. 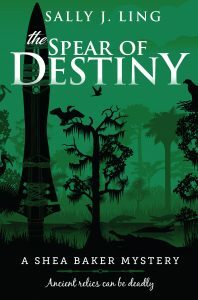 Follow Shea Baker’s lump-in-the-throat escapades as he is once again plunged headlong into a mystery of biblical proportions in The Spear of Destiny, the second in a series of exciting Shea Baker mysteries. This is the second in a series of Shea Baker mysteries. 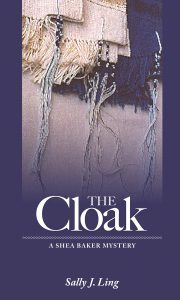 I wanted to continue the biblical adventures with another contemporary mystery based upon scripture.